Local non-profits with a mission to support women and/or children are invited to submit grant proposals to The Women’s Legacy Fund of the Montgomery County Community Foundation. A link to the WLF Grant Application is located at the bottom of the Grants/How to Apply page under Grant Applications and Information. Applications are due Monday, March 18 by 5:00 p.m. The Women's Legacy Fund awarded over $12,000 in grants in 2018. 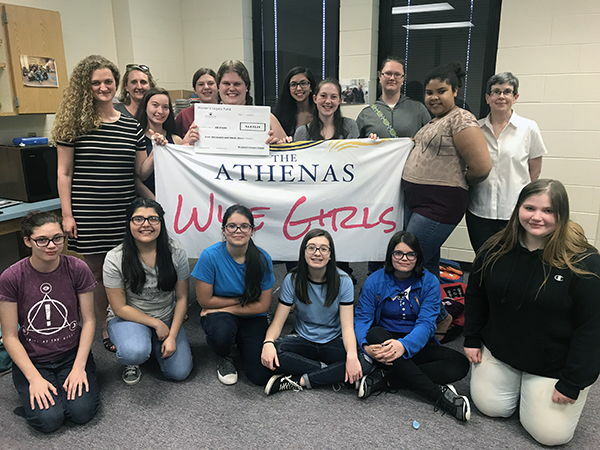 The photo represents the Athenas, who received $4,093 to help with bus transportation and stipends for a Director and Assistant Director. The Crawfordsville Adult Resource Academy received $4,000 to provide support for childcare and testing materials; the Recovery Coalition received $2,662 for supplies and educational materials; and the Youth Service Bureau received $1,694 to help support their Inspire program.